By turns a family drama and an action-adventure story, The Age of Daredevils chronicles the lives of the men and women who devoted themselves to the extraordinary sport of jumping over Niagara Falls in a barrel-a death-defying gamble that proved a powerful temptation to a hardy few. Internationally known in the 1920s and '30s for their barrel jumping exploits, the Hills were a father-son team of daredevils who also rescued dozens of misguided thrill seekers who followed them into the river. The publicity surrounding the Hills' spectacular feats ushered in tourism, making Niagara Falls the nation's foremost honeymoon destination, but ultimately set Red Hill Jr. on a perilous path to surpass his father's extraordinary leaps into the void. 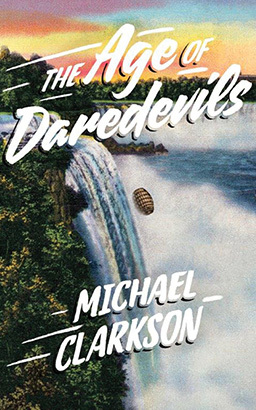 Like the works of Jon Krakauer and David McCullough, The Age of Daredevils explores the primal force of fear and the thirst for adventure that drive humans to the brink of death to see if they can somehow escape.